In addition to these areas, 10-30% of psoriasis patients are also likely to develop psoriatic arthritis. Psoriasis can also affect nails causing splitting or pitting of nails. Due to factors like cold, stress, infection, injury and ingestion of medicines containing lithium or interferons, Psoriasis can be triggered. That is why Psoriasis treatment in Mumbai and India is provided through various specialty canters. Psoriasis Treatment in Mumbai and India is available through various alternate medicine channels. But as the disease takes multiple sessions to get completely cured and must be properly monitored by a trained dermatologist, opt for specialists like Dr. Rinky Kapoor. 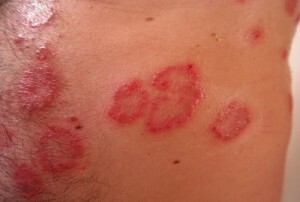 Dermatologistmumbai.com specializes in psoriasis diagnosis and treatment and offers complete psoriasis management package at fair prices. Psoriasis is a skin condition that leads to the cells of the skin grow abruptly and with a lot of speed. Getting the best psoriasis treatment in Mumbai, with Dr. Rinky Kapoor at The Esthetic Clinics, is possible. If you or a loved one needs to get the best psoriasis treatment in Mumbai, it is important that you know what to expect. If you are looking for a psoriasis specialist in Mumbai who will treat your psoriasis condition, knowing the options that you have is a good thing. So read on for the best psoriasis treatments in Mumbai available. Topical creams and ointments: For patients who have only a mild to moderate psoriasis condition, the best psoriasis treatment in Mumbai will be one which involves the use of topical creams and ointments. Topical corticosteroids are used a lot in psoriasis treatment because they are powerful and highly anti inflammatory. Apart from them, your psoriasis specialist in Mumbai can also recommend the use of Vitamin D analogues, Anthralin, topical retinoids, coal tar and salicylic acid for treatment. Sometimes, the best psoriasis treatment is about applying moisturisers on the affected area a lot because that may not treat the condition itself but it will reduce the itchiness and the inflammation. Light therapy: Phototherapy or light therapy is another psoriasis treatment that gets recommended a lot. Whether it is by sunlight or phototherapy treatment in a clinic that offers it, the specialist you choose may recommend all or more to you to treat the psoriasis. Oral drugs: This is a recourse if you are looking for the best psoriasis treatment in Mumbai. Your specialist may also ask you to get injections because they can be more effective than oral drugs for psoriasis treatment. From retinoids to cyclosporine, there are a variety of best psoriasis oral medications available. Today, getting the best psoriasis treatment in Mumbai with Dr. Rinky Kapoor at The Esthetic Clinics is not a problem at all. However, do yourself a favour and take your time finding the best psoriasis treatment specialist. The truth is that one does not have to live with psoriasis any longer because psoriasis treatment is now easily available. Psoriasis is no doubt an embarrassing condition but with the right psoriasis specialist, you can bid goodbye to the condition once and for all.